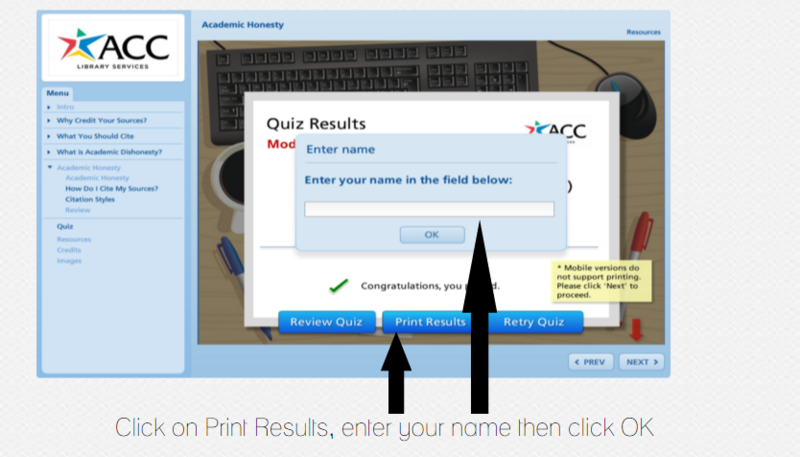 Click on Print Results, enter your Name, click OK.
After you have entered your name, a Quiz Results page will open - this will show your name and your score. 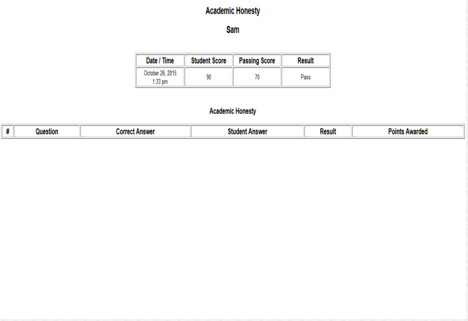 You may retake the quiz if you do not like your score. Then email as an attachment or they can also upload to Blackboard as an attachment if the course space is setup for them to upload documents.